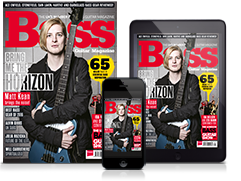 BASS WEEK: Variety, they say, is the spice of life - and when it comes to bass players, there are as many different breeds as you can imagine. 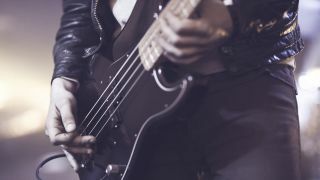 Rockers, folkies, prog wizards and many more besides all find themselves lured the low-end, each bringing their own distinct personality to bear on an instrument once described as ‘a guitar, but with bigger balls’. No pedals, no picks, no prancing about: the Rocker’s creed is simple but devastatingly effective. They have come to rock, and rock they will. Usually found having the time of their life with their covers band at the local pub, they plays it unapologetically loud and care not for your eardrums. There is no purer sight in all of bassdom. So posh they can barely talk yet dressed like a 19th century farmer, the Mumford is the scion of a family that can directly trace its ancestry to William the Conqueror. Instead of going into banking when they left college, they took a left turn into folk-rock, where they have found themselves unaccountably successful. Laid-back to the point of being comatose, they're annoyingly proficient and have forgotten more traditional folk songs than you’ll ever know. For some, playing music is little more than wish fulfilment, a chance to put yourself in the shoes of your heroes and play grown-up make believe. Any Beatlemaniac who has ever played in a band can confirm this, and it’s a phenomenon that has almost singlehandedly kept Hofner in business. The Retro Popper takes great pride in their Violin Bass, and enjoys nothing more than busting out the bassline to All My Loving. Alone and playing along to records, or with similarly minded ‘60s obsessives, they don’t mind - it’s all about the music, and imagining yourself playing at Shea Stadium. Fab. Clearly, Mark King from Level 42 could play a bit. Time and fashion may not have been kind to the biggest bass star of the '80s, but some haven’t forgotten the years that King’s mighty thumb ruled the charts. Enter Fingers McGee, a lifelong Mark King acolyte with more technique and surprisingly expensive gear than you’ve ever seen. You’ll find them playing in function bands most weekends, toning down their skills for the covers crowd. It’s when they gets together with his fellow '80s fanatics that the real beast is unleashed - and it is magnificent. There they are, with their none-more-tight jeans and Pavement t-shirt, holding their bass at weird angles and occasionally bawling out a backing vocal. By day, they're an account manager at an East London PR firm, but by night they stride the stage like a Chuck Taylor-sporting colossus. They're an adaptable player, given that a label as broad as ‘indie’ covers everything from My Bloody Valentine to The Killers, but most at home playing Cribs b-sides in a sticky-walled basement. Sir Slapsalot bought a one-way ticket to Slapsville immediately after seeing the Red Hot Chili Peppers at the Milton Keynes Bowl in the early '90s, and has yet to return. Their thumb has a life of its own, and their bass is subjected to a near-constant battering from that swollen digit. This bassist is a funky one alright, but beware: their shirt is rarely on, and their thumb is always - always - popping. Whether you like it or not. It's not easy playing alongside a blues guitarist whose dials are set to wail, but the Blues Baron does it with a cool, calm efficiency that belies their (many) years. They sit down when they play, never sweat, never smile, and somehow the entire show revolves around them. They are the silent arbiter of breakdowns and pace, and seem to be controlling the drummer via telepathy. They understand the blues as only someone who has lived many lives and played several thousand gigs can, and are the very definition of a living legend. Their bass is pointy and as black as their twisted soul, a soul which they dedicated long ago to the Dark One. They're a pretty gifted player, able to keep up with the speediest of riffs and take on the most epic of solos, but their tone is just a little too filthy to properly showcase their skills. They don't mind, of course - they simply want to rock as hard as their blackened heart will allow. Some bass players simply aren’t destined to be in bands. They’re too technical, too dazzlingly fleet of finger, too obsessed with the details of their own tone. Johnny Strap-Too-High is the living embodiment of this archetype. Their bass looks more like some kind of space harp, and their fingers produce rhythms no drummer could sync with. They're talented - almost too talented - and destined for a career demoing cutting-edge bass amp heads at guitar shows. They wear shades whatever the weather, and live on a completely separate plane to the rest of us mere mortals. Their heroes are all trumpet players and drummers, and they play bass as if communing with the god of jazz. No time signature is too strange, no break too unexpected. The Hep Cat's improvisation skills are off the charts, and their brain will one day be studied by musicologists. They will remain as confused by its musical structures as the rest of us. The studded belt has had a few new holes punched in it, and there’s no longer enough hair to make a proper mohican, but it doesn’t matter to the Old Clash Fan. Punk is alive and well in 2017 thanks to them. You’ll find them in rehearsal rooms banging out Buzzcocks covers with three other guys in their late '40s, legs as wide as they can manage, bass slung low. Punk set their souls on fire all those years ago, and they’re still burning. Joe Strummer would be proud. For some, playing bass is a God-given gift. They might not have asked for it, but by Jiminy, can the Accidental Genius make magic with four strings. They know nothing of technique, or gear, or practice. They were simply born to play bass. Their instrument - if they even own one - has ancient strings, rusty hardware and a neck so bowed Robin Hood could find a use for it. And still they make it sound like an angel jamming with the devil. They are #blessed. You can’t help but hate them a bit. The stance is strong, the playing is loose, and this guy is loving it. Singing and playing bass isn’t the easiest of tasks, which is why the Frontman’s basslines are simplicity itself. Leave the widdly stuff to the rest of the band - the Frontman’s job is to lock in with the kick drum and sing those songs like Phil Lynott reincarnated. A rare beast, for sure, but a fine sight when spotted in the wild.